The price hasn’t changed much over the last 24 hours and keeps moving in a quite narrow range. 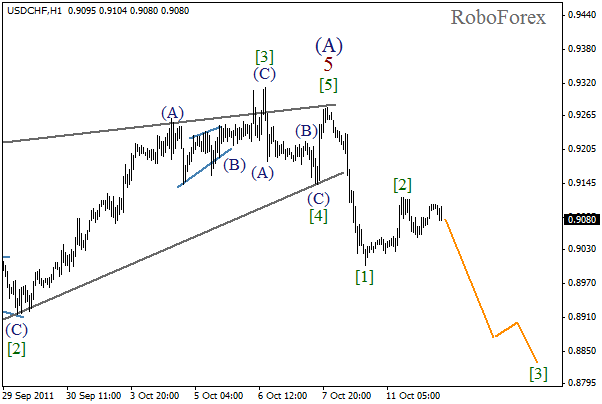 Earlier the price completed diagonal triangle pattern in wave 5 with the reduced fifth wave. We may assume that at the moment the market is forming a descending impulse in wave A. In the near term, the price may continue falling down. If we take a look at more detailed wave markings, which are shown on the H1 chart, we can see that the market is in the very beginning of wave . At looks like the second wave inside wave  has been completed. 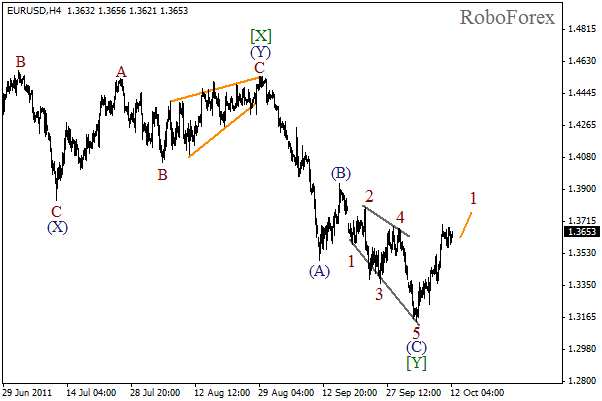 During the day we can expect the price to move downwards while forming the third wave. 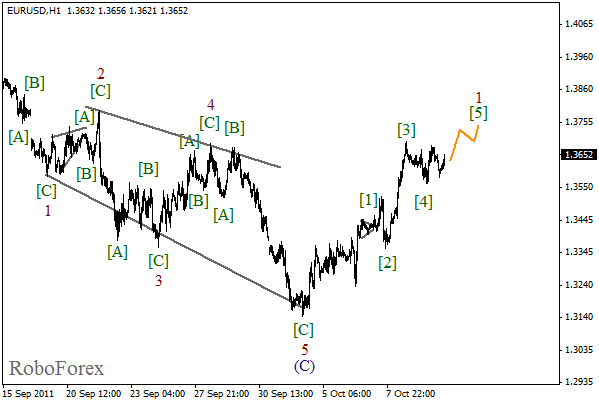 We may assume that the price continues the formation of a rising impulse in wave 1. 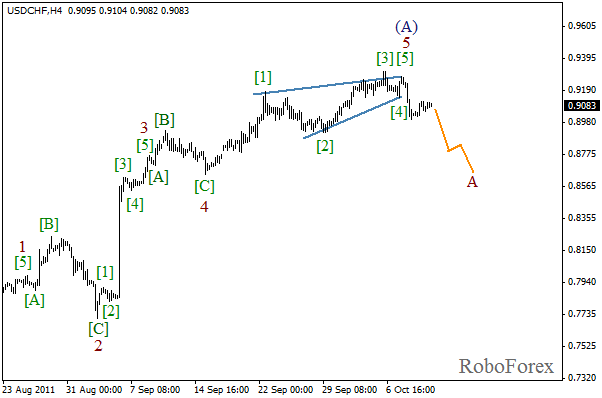 Earlier, wave (C) has been completed in the form of a quite rare pattern, expanding diagonal triangle. In the near term, we can expect the price to continue moving upwards. It looks like the fifth wave is being formed in wave 1. The forecast is still bullish. During the day the price may reach a new local maximum. After that, there is a possibility that the correction may start.